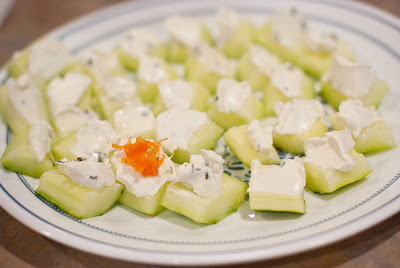 This little recipe came about when I was brainstorming for no-oven appetizers to make for a wine night. I can't even remember where I found this one but I wanted to give it a try and boy was it delicious! It had the right amount of "savory and refreshing" once finished. You're going to need to peel both your carrot and cucumbers. 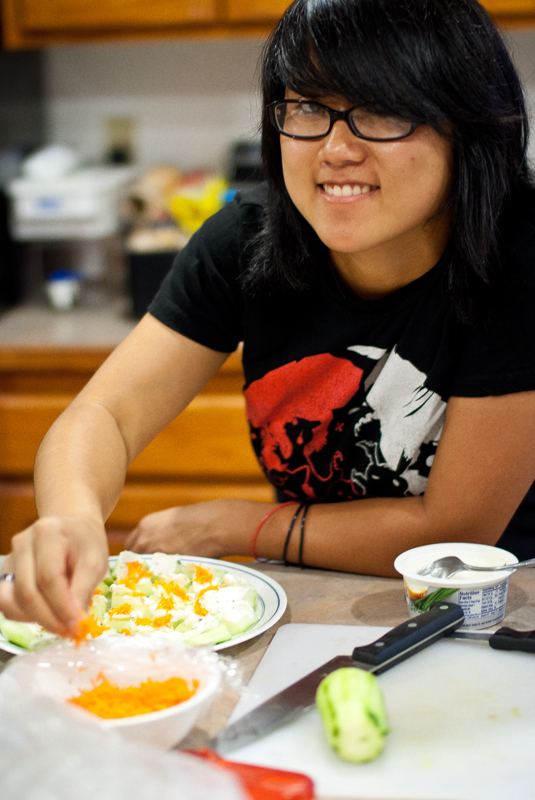 Once the carrot is peeled, grate the piece to be used and place in a separate bowl. For the cucumbers, peel and slice up each cucumber into 24 pieces. You can do this by splitting in half, removing the seeds, and dividing each half into twelve bite-sized pieces. This is a very quick recipe, of course. 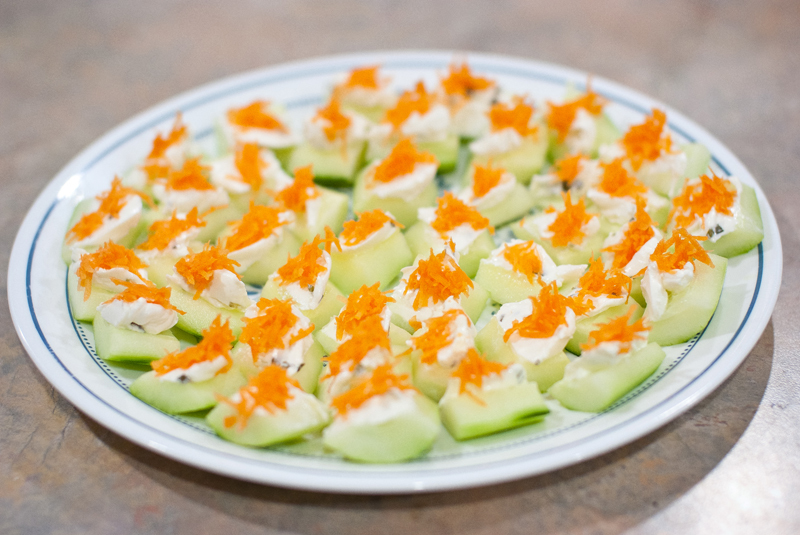 The next thing to do is to spread your cream cheese onto the cucumber pieces and top with carrot pieces! Then dig in. Credits: Photography by Duc Duong.